Opening Day for Pride and Digby has been promoted! It was a grand day at our game club in the high desert valley north of San Bernardino. 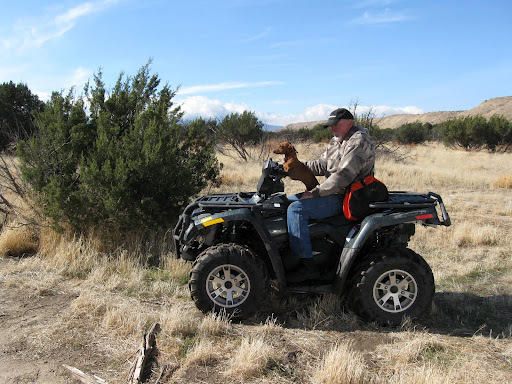 Breezy, cool and sunny, a fine day for some chukar shooting. 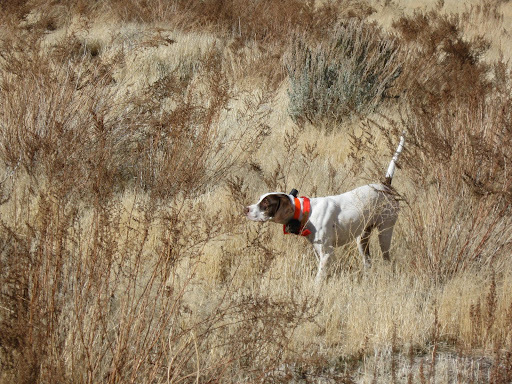 Pride worked four chukar and my shooting was up to her good work since all are now in the freezer awaiting some culinary magic. We also discovered that Digby the Dachshund, great bird finder and retriever, has been promoted to manager of the game club. His biggest challenge is to try to get a day’s work out of Andy. Not easy. Of course Digby has tightened up the rules around the place dramatically and now strictly enforces the extra dog biscuits for him and his pals. AWESOME man, I'll be in cali for my first chukar hunt south of bakerfeild over christmas, I hope we get some!